The Jewish state has always attracted the attention of pundits and prognosticators. In recent years, a burgeoning literature of gloom that highlights Israel's imaginary or real flaws, and even questions its future, has emerged both within and outside the country. Most concerned is the radical Israeli Left, which argues that there is great urgency in solving the Arab-Israeli conflict and that, in the absence of a peaceful solution, the Jewish state is doomed to disappear. Moreover, Israel's democratic character, its international legitimacy, and its ability to withstand protracted conflict are questioned. Israel is a small state, and historically, such states have had a precarious existence. Indeed, Israel has faced existential threats from its neighbors since its inception. The memory of a Jewish state twice destroyed by powerful empires and the more recent catastrophe of the Holocaust hovers over the policy debates of contemporary Jews. Losing the Jewish commonwealth for a third time is a historic possibility for those who do not adhere to a messianic ideology. But while continuous political prudence is recommended, Israel has so far been a great success story, and time seems to be on its side. A review of the balance of power between Israel and its foes, of the domestic characteristics affecting its national power—such as its economy, social cohesion, and political system—as well as its standing in the international community, validates this assessment. After celebrating sixty-five years of existence, Israel can confidently expect to overcome the challenges ahead. From a realpolitik perspective, the balance of power between Israel and its neighbors is the critical variable in its quest for survival in a bad neighborhood. If the power differential between the Jewish state and its foes is growing in its favor, then its capacity to overcome regional security challenges will be assured. Significantly, Israel has built a mighty military machine that has been successful in overcoming many military threats. The Israel Defense Forces (IDF) is a sophisticated and effective organization, using advanced technologies and weapons. Its victories have signaled to the Arab states that Israel cannot be eradicated by force and that such attempts will be very costly. Israel's military superiority largely contributed to the decline in the intensity of the Arab-Israeli conflict. The last large-scale conventional military encounter that involved aircraft and tanks was in 1982. Moreover, a peace process with Arab states ensued, effectively lowering the chances of a large-scale Arab-Israeli conventional war. Since 1982, Israel has used force primarily against sub-state armed organizations such as Hezbollah, Palestinian terrorist organizations, and Islamist militias. Indeed, after the end of the Cold War, Israel's strategic landscape witnessed a shift from threats originating in the conventional military might of states to challenges from armed non-state entities, which use a combination of methods: terror, suicide bombings, and guerilla tactics. Israel also faces the use of rockets launched at its population centers. The capabilities of non-state organizations to harm Israel are amplified by the support they receive from states, such as Iran, primarily through better training and access to advanced weapon technology. They intend to inflict pain on Israel and to test its resolve. This is unlikely to change in the near future. The non-state challenge, in essence terrorism, has become central for Israel and has overshadowed the potential threats emanating from the interstate dimension of the Arab-Israel conflict. Noteworthy, too, is that terrorism is the weapon of the weak, and terrorists are less dangerous than states although the struggle against them might be costly in blood and treasure. Palestinian terrorism has been successfully contained since the large-scale 2002 offensives in the West Bank. The IDF has demonstrated that terrorists can be vanquished, and the prospects of a third intifada, while cause for concern, is bearable. The war against Hezbollah in 2006 may not have ended as decisively as desired, but the punishment inflicted on Hezbollah seems to have created at least a temporary deterrent effect. The IDF learned its lessons from the 2006 failures in Lebanon and seems better prepared to meet Hezbollah on the battleground. Its encounters with Hamas in Gaza show a much better record. In addition, Israel's defensive measures against all kinds of missiles near fruition. Israel has deployed Arrow-2 interceptors, designed to work against long-range missiles, and has successfully tested the more advanced Arrow-3. Iron Dome batteries set up to stop missile threats of up to 70 kilometers registered an impressive record of 88 percent interception rate in recent Gaza encounters. The David's Sling missile defense system for meeting threats of up to 300 kilometers will soon become operational as well. This remarkable defensive perimeter reflects the excellence of Israel's military industries, an important component in Israel's military superiority. Finally, Israel also has a well-developed nuclear option, buttressing its image as a powerful state. Such weapons serve as a constant reminder that attempts to destroy the Jewish state could be extremely costly and, thus, work as a deterrent against hostile governments. In contrast, Israel's foes in the Arab world display great weakness and their stagnant societies are beleaguered by many problems. Human development reports released by the United Nations underscore their huge deficits entering the twenty-first century. The Arab states still grapple with the challenge of modernity and are in a state of limbo, particularly since the beginning of the 2011 upheavals. As they are consumed with their severe political, social, and economic crises, they have little energy and resources to build mighty militaries to attack Israel. The rise in political Islam may bring about a growing motivation to destroy the Jewish state, but what counts in final analysis is capability. The only grave national security challenge in the region is a nuclear Iran. Such a development is not only a direct threat to Israel but also could start a chain of nuclear proliferation, a change in the regional balance of power, and an Iranian takeover of the energy resources in the Persian Gulf and Caspian Basin. While the world has become more attentive to Israel's perspective on this matter, the international community has failed so far to stop Tehran's nuclear buildup. It is quite possible that Israel might be left alone to deal with the ayatollahs, something that is not beyond its capabilities. Military and economic power are related and reinforcing factors. Israel's edge over its Arab neighbors also grows because of its economic prowess. Its vibrant economy is a result of wise policies, stressing market values and adapting to globalization. Beyond its well-established reputation for producing first-rate military equipment, which contributes to its military power, Israel also has excelled in agriculture, medicine, communications, and high-tech development. In recognition of Israel's economic achievements, it was admitted into the exclusive club of the Organization for Economic Cooperation and Development (OECD) in May 2010, which brings together the thirty-three most developed countries in the world that are committed to democracy and market economy. Israel is an increasingly attractive site for overseas investors, particularly in the high-tech area. 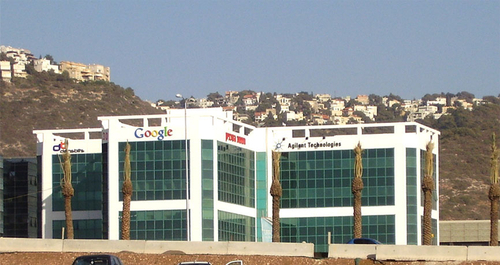 Its unique and innovative technologies have attracted global giants such as IBM, Apple, Microsoft, and Google, whose offices in Haifa can be seen here. Currently, Israel's economic indices indicate good prospects despite the continued security issues. For example, during the 2009-12 global economic crisis, Israel experienced a 14.7 percent growth of gross domestic product (GDP), the highest among OECD countries. Israel's 2012 GDP growth (3.3 percent) led the rest of the OECD, which averaged only 1.4 percent. It managed to reduce its debt to GDP ratio from 100 percent in 2002 to 74 percent in 2012 while most of the world continues to experience a soaring ratio. Israel's 2012 budget deficit and unemployment were 4.2 percent and 6.9 percent respectively, much lower than the OECD average of 7 percent and 8 percent. The most recent national budget, which includes serious cuts in spending, displays continuing fiscal discipline. Foreign exchange reserves—critical to sustain global confidence in Israel's economy and capabilities during emergencies—expanded from US$25 billion in 2004 to $75 billion in 2012, twenty-sixth in the world and one of the top per capita countries. Indeed, the International Monetary Fund (IMF) commended Israel's economic performance and expressed confidence in its long-term viability. Israel is also an attractive site for overseas investors, particularly in the high-tech area. Its unique and innovative technologies have attracted global giants. For example, Eric Schmidt, Google's executive chairman, considers Israel "the most important high-tech center in the world after the U.S." Warren Buffet in October 2010 added, "If you're looking for brains, [Israel] has a disproportionate amount of brains and energy." In 2006, Berkshire Hathaway, Buffett's investment company, made its largest ever purchase outside the United States when it paid $4 billion for an 80 percent stake in Iscar Metalworking, an Israeli company specializing in metal-cutting machinery. In May 2013, Buffet completed the acquisition of the company, pumping $2 billion more into the Israeli economy. Scores of major U.S. manufacturers, including General Electric and General Motors, have research and development centers in Israel. Some 300 U.S. high-tech companies, including Microsoft, IBM, Google, and Apple, also have a research and development presence, and many overseas entrepreneurs invest in or acquire Israeli high-tech companies. Microsoft CEO Steve Ballmer called Microsoft as much an Israeli company as an American one because of the importance of its Israeli technologies. Israel is a global leader in microchip design, network algorithms, medical instruments, water recycling and desalinization, missile defense, robotic warfare, and unmanned aerial vehicles. The country's successful integration into the globalized economy also testifies to the fact that Israel is not isolated in the international community despite what some of its critics contend. Israel has the highest ratio of university degrees to population in the world, produces more scientific papers per capita than any other nation by a large margin, and has one of the highest per capita rates of patents filed. Most importantly, 4.5 percent of Israel's GDP goes to research and development, the highest proportion in the world. Israel's robust demography—a record high fertility rate in Western countries of three births per woman—provides a tail wind for its economy. Moreover, Israel's government is acutely aware of the need to train its Arab and ultra-Orthodox sectors better to increase their participation in Israel's work force since additional qualified manpower is an important element in economic growth. Although Israel managed to prosper for decades without any significant natural resources, this is changing as the natural gas findings in Israel's Mediterranean economic zone will allow it to enhance its economic viability and achieve energy independence. It is expected to turn into a net natural gas exporter by 2017. Sustained economic growth requires responsible economic policies and the ability to resist populist demands. So far, Israel's political leaders have met this challenge, and there are signs that the political system has internalized the need to continue such policies. Despite its remarkable economic progress, Israel's GDP per capita is $32,511 (less than most Western countries), leaving room for further improvement. Nevertheless, the country's $247 billion economy is larger than all of its immediate neighbors combined. Moreover, Israel's flourishing and expanding economy can afford larger defense outlays to meet its national security challenges and has the resources to ensure continued R&D for winning future wars. In contrast, the neighboring Arab states grapple with very serious socioeconomic problems and are hardly in a position to invest in their military establishments. The common image of a deeply-torn Israel is inaccurate as social cohesion is now greater than before. Most of Israel's social rifts have been bridged creating a stronger society. This is good news for the ability of Israeli society to withstand the inevitable tests of protracted conflict in the future. Significantly, the acerbic ideological debate over the future of the territories acquired in 1967 is over. The Sinai was relinquished in 1979-82. Over two thirds of Israelis oppose any territorial concessions in the Golan Heights. The bloody civil war in Syria only solidifies such popular positions. Gaza is similarly no longer a bone of contention after the 2005 unilateral withdrawal. Concerning Judea and Samaria, there is a great majority in favor of partition—the traditional Zionist position—and in favor of retaining the settlement blocs, Jerusalem (the Temple Mount in particular), and the Jordan Rift. The Oslo process with the Palestinians was fueled by the desire to part from territories populated by Arabs. The establishment of a Palestinian Authority (PA) in 1994 is a de facto partition, albeit a messy one. The establishment of a Palestinian state, once seen as a mortal danger, is accepted by the Israeli public although skepticism over the state-building ability of the Palestinians is widespread. Nevertheless, very few Israelis advocate reconquering the cities of the West Bank. Moreover, Israel built a security barrier in the West Bank in 2002, signaling determination to disengage from the main Palestinian population centers and marking a potential future border. The current territorial debate revolves around the percentages of the historic homeland to be relinquished to Arab control and, for the most part, is not couched in ideological reasoning but in a pragmatic assessment of what is needed for Israel's security and what is least costly in terms of domestic politics. The expectations of the mid-1990s for peaceful coexistence with the Palestinians have been replaced by a more realistic consensus that peace is not around the corner. Israel's society seems largely reconciled to the idea that the Jewish state will have to live by its sword for the foreseeable future, and most Israelis appear ready to pay the price of continuous conflict. Most Israelis reject the argument that a continuation of the current impasse in Israeli-Palestinian negotiations will produce demographic dynamics leading to a bi-national state. The willingness for partition and the ability of the political system to disengage unilaterally from territory heavily populated by Arabs nullifies the argument that Israel is in danger of being demographically swamped. Just as Israel is not concerned about the numbers of babies born in Amman, the same attitude is adopted vis-à-vis the fertility rate of Arab women in Nablus, whose lives Israelis have no desire to control. In any case, there is a great exaggeration in the actual numbers from the demographic threat of the West Bank. Moreover, as those living in Judea and Samaria are demonized as "settlers" by the press and others, their political power to stop potential future withdrawals is seen to be greatly exaggerated; their removal from Gaza illustrates this point. Israelis understand that they are locked in a tragic conflict with Palestinians but are willing to wait for better times. The Palestinian rejection of recent Israeli partition proposals (Ehud Barak in 2000 and Ehud Olmert in 2007) strengthens the Israeli feeling of "Ein Breira" (no choice), which is important for fighting future wars. Indeed, the motivation to serve in the IDF among new recruits remains very high. So far, the criticism issued by the far Left in Israel and abroad has hardly cracked Israeli consensus and solidarity. Similarly, debates over the preferred economic regime have long disappeared. Nearly all Israelis agree that capitalism is the best way to create further wealth. Government policies along such lines are widely supported. The Likud, and primarily Prime Minister Binyamin Netanyahu, advocated for a market economy and have been in power for most of the last two decades. In the January 2013 elections, the two successful partners of the Likud-led coalition, the Yesh Atid and Habayit Hayehudi parties, also adhered to a free market ideology while Labor, which criticized the country's capitalist orientation, did not do well in the voting. Another social rift, the Ashkenazi-Sephardi cleavage, has also become much less divisive than in the past. The number of intermarriages is on the rise, obfuscating ethnic differences. Indeed, the post-1977 period has been characterized by increased social mobility. The erosion of socialist practices and privatization of a centralized economy contributed to the growth of a non-Ashkenazi middle class. The number of Sephardi politicians at the local and national levels has increased significantly alongside a similar growth in their ranks within the senior officers of the IDF. Tensions between newcomers and established members of society in an immigrant-absorbing country such as Israel are to be expected for a period, but they have not persisted. Most of the immigrants from the former Soviet Union, despite some difficulties, are almost fully integrated. The Ethiopian Jews, from a very different background, have had a more difficult time but are gradually integrating as seen by their numbers among the junior officers in combat units, university students, and even Knesset (parliament) members. A favorite target of critics is one of Israel's most important social institutions, the IDF. It is accused of having disproportionate clout in the country's decision-making process and of breeding militarism in Israeli society. Nothing is further from the truth. The military's highest ranks are no longer dominated by card-carrying members of Labor. Nor is such affiliation a necessary condition for being appointed to the position of chief-of-staff. The military has actually become more representative of the demographic trends and growing social mobility in the nation. Its ranks include new immigrants, Sephardim, and members of the national-religious camp, the latter group making parts of the old Ashkenazi secular elite feel uncomfortable. The only rift within Israeli society that is still of great social, cultural, and political importance is the religious-secular divide. Despite efforts to mitigate the consequences of the growing estrangement of the secular sector from traditional values and Jewish culture, Israel is in the midst of a Kulturkampf. However, this situation does not differ greatly from the afflictions of identity politics faced by other Western societies. Moreover, the conflict is not between two clearly defined camps; this leaves room for finding a reasonable modus vivendi. The number of those defining themselves as secular is diminishing (only 20 percent) while a growing number of Israelis identify themselves as traditionalists, in the middle of the Orthodox-secular continuum. The proportion of the Orthodox within society is also growing. Precisely because there are Jews of different degrees of observance and knowledge, there is room for mediation and a modicum of understanding. Gays in Israel have successfully gained rights due to the policies of the Supreme Court, and there is greater sensitivity to and corresponding legislation for equality for women and disadvantaged groups. In 2008, the Knesset created the Equal Employment Opportunities Commission to help combat workplace discrimination, and the country has legislation in place to fund special needs education. Not everything is perfect in Israeli society or its economy. To mention a few problems: There is violence in the streets and in the schools; the education system has problems, particularly in keeping discipline and in reaching excellence; the gap between rich and poor is large; economic competition is insufficient; and housing prices are too high. Nevertheless, the Taub Center Index of Social Confidence shows that over the first decade of the twenty-first century, the general Israeli public shares an increasing sense of improvement in its quality of life. Indeed, a Gallup well-being poll of April 19, 2011, rates Israel seventh in the world in terms of happiness. Similarly in April 2012, 92.7 percent of the Jews in Israel said that they are proud to be Israeli. The description of Israeli society as divided and quarrelling is simply wrong. Many on the Israeli Left are frustrated by their failure to garner support in the electoral arena for their policies and thus argue that Israel's democracy is in danger. This argument reflects a longing for the days when the Left was in power, particularly before 1977, the year that ended Labor's hegemony in Israeli politics. Despite leftist laments, Israel's democracy is alive and kicking and actually faring better than it did previously. Until 1977, the Labor camp ruled Israel's national institutions continuously, in power even before the founding of the state. Since then, Israel has witnessed shifting political elites as three different parties (Likud, Labor, and Kadima) have led Israeli governments. The end of the hegemonic party era has democratized Israel's political system, allowing new forces to appear on the political stage. Over time, Israel has also seen slightly less influence of central power at the municipal level, allowing for the emergence of new foci of power and a new venue for leadership recruitment. A pivotal component in any democracy is the judicial system. Israel's judicial system fearlessly prosecuted a president, prime minister, and cabinet ministers, becoming the subject of envy in many democratic states. The independence of the police and the judicial system in Israel has drastically increased in recent years. The ascendance of the Israeli Supreme Court, considered the stronghold of democracy by the Left, to its current elevated status started after the decline of Labor. It was Prime Minister Menachem Begin who encouraged a more active role for the Supreme Court, and he was instrumental in the nomination of Aharon Barak to the bench in 1978. Barak, known for his liberal views, pushed the Supreme Court to a very interventionist direction after his appointment as Supreme Court president in 1995. The media—often viewed as the watchdog of democracy—was also totally transformed after 1977. The mobilized written and electronic press disappeared. Almost all political party newspapers have vanished. In their place, a plethora of media outlets with different agendas has emerged. To be sure, Netanyahu was instrumental in the establishment of a right-wing newspaper, Israel Hayom, but the written and electronic media, as well as the new social media, is free and fulfills its duty as public monitor. Additionally, in the area of minority rights, Israel fares increasingly better than many democratic countries. Until 1965, Israeli Arabs were under military administration and the two all-Arab parties in the Knesset were essentially branches of the ruling Labor party. Today there are three Arab parties representing a variety of views, mostly at odds with the surrounding Jewish society. For a country in which the military plays such an important role, Israel has avoided the coups and putsches that have afflicted many other young democracies. Although in 1967 some generals almost revolted against the government's hesitations to strike first in the face of Arab military provocations, in the post-Labor era, the military has displayed a great deal of professionalism and has been more obedient in accepting the judgment of the elected political leadership in decision-making. In October 1977, Menachem Begin ignored the warning of his chief-of-staff about the possibility of an Egyptian surprise attack during the visit of President Anwar Sadat. The military was kept in the dark during the negotiations of the September 1993 Oslo accords and recommended against the May 2000 unilateral withdrawal from Lebanon and the 2005 disengagement from Gaza. Thus, the three most important strategic decisions since 1993 were implemented despite the fact that the IDF did not support them, demonstrating that Israel does not have an army-dominated militaristic government. While there is always room for improvement, Israeli democracy is thriving and fares better on most scores than in the past. Those leftists who complain about Israeli democracy behave like "sore losers" who have a difficult time internalizing the fact that their vision is rejected by most Israelis. Still, a basic democratic tenet remains strong in Israel: Israelis, like other people of the world, have the right to elect their representatives, for good or for ill. Since Israel's inception, the surrounding Arab states have tried to isolate it and deny it international legitimacy. Despite widespread current perceptions of Israel being isolated, a review of the Jewish state's contemporary interactions with the international community shows such evaluations to be mistaken. Notwithstanding occasional vicious criticism, Israel does not suffer from lack of international legitimacy. At the end of 2012, it had diplomatic relations with 156 states out of 193 U.N. members. Considering that most Arab states and additional Muslim countries do not have diplomatic relations with the Jewish state, and that they frequently control the agenda of the international community as expressed through the U.N., Israel's diplomatic network is quite impressive. The emergence of a victorious United States following the end of the Cold War bode well for Israel, a valued U.S. ally. Many important countries decided to improve relations with the Jewish state since it was perceived as a good conduit to Washington and a strong state, both militarily and technologically. By 1992, Israel had established ambassadorial relations with prominent countries such as China, India, Turkey, and Nigeria. Even the ineffective and morally bankrupt U.N. changed its attitude toward Israel slightly. Following its defeat of the Iraqi occupation of Kuwait, Washington convened the November 1991 Madrid conference, which marked greater Arab acceptance of Israel. The Arab League peace initiative in 2002 and the Arab states' presence at the 2007 Annapolis gathering indicated a continuation of this trend. In April 2013, a group of Arab foreign ministers visiting Washington affirmed their commitment to this initiative and even showed some flexibility. While the Islamist surge in the region is problematic for Israel, Egypt and Jordan still uphold their peace treaties. Israel continues to have informal dealings with Arab states of the Persian Gulf and the Maghreb and conducts extensive, if quiet, trade relations with a number of Arab states. The Arab economic boycott has lost much of its impact. Similarly, the international campaign to boycott, divest, and sanction Israel has failed to make a real dent in its diplomatic status and flourishing economy and has affected its cultural life only marginally. Moreover, the ascendance of a Shiite "crescent" in Middle East politics makes Israel a potential ally of the moderate Arab states. The Iranian nuclear threat puts Sunni Arab states' differences with Israel on the Palestinian issue on the back burner while the recent regional upheavals have kept the Arab regimes preoccupied with their domestic affairs, to the same effect. Significantly, relations with the Muslim world outside the Middle East have improved. Israel has established cordial relations with Muslim-majority states in the Caucasus and Central Asia, which emerged from the dissolution of the Soviet empire, such as Azerbaijan, Kazakhstan, Turkmenistan, and Uzbekistan. The Muslim identity of their populations does not hinder relations with Jerusalem in areas important to their national interests. The ups (and mostly) downs in Israeli-Palestinian relations have hardly had an impact in how states conduct their bilateral relations with Israel. Actually, the failures of the Palestinian national movement and the ascent of Hamas in Palestinian politics may have prompted a greater understanding for the Israeli predicament. The 9/11 attacks further sensitized much of the world to Israel's dilemma in fighting terrorism. Moreover, the challenge of terrorism and radical Islam has since driven many states to seek greater cooperation with Israel. The Jewish state has much to offer in the area of intelligence, tactical, and doctrinal counterterrorism. The two most populous and dynamic states on the world scene—India and China—display a greater level of friendship for Israel than in the past. Both are old civilizations unburdened by any historical anti-Semitic baggage as is Europe and the Muslim world. They treat the Jewish state with admiration, viewing it as an ancient civilization similar to their own that has realized remarkable achievements. Europe is, of course, an unfortunate exception. Despite the robust multi-layered bilateral relations of European states with Israel, the EU's position is occasionally hostile but has never denied the legitimacy of Israel. Most recently in July 2013, the Brussels bureaucrats issued unprecedented guidelines restricting the ability of Israeli institutions to participate in various EU programs or receive EU grants, prizes, and financial instruments if they have activities beyond the Green Line. It remains to be seen whether and how these guidelines will be implemented. Finally, ties with the most important country in the world, the United States, have greatly improved since 1973 with an increasingly institutionalized and strong strategic relationship. Washington will continue to be the leading global power for some time to come, which is good for Jerusalem. It is noteworthy that the level of support for Israel by the American public, at around 65 percent, has remained remarkably stable for the past four decades. This also translates into congressional support. Israel is still popular in the United States, primarily because of how it is perceived and not because of any Jewish lobby. Even its use of force, criticized in many parts of the world, is accepted and seen as similar to the U.S. way of war. President Barack Obama, who in his first term seemed to go out of his way to pick fights with the Netanyahu government, adopted a friendlier posture toward Israel during his March 2013 visit to the state. The Arab upheavals have strengthened Israel's status in most Americans' eyes as a stable and reliable ally in a region fraught with uncertainty. Despite not everything being perfect in the Holy Land, long term prospects seem bright. Israel is a vibrant democracy that prospers and maintains strong social cohesion. Its international status has improved while support in the United States, its main ally and still the foremost international power, has remained very high. Moreover, the Jewish state is widely recognized as an entrenched reality, even by its Arab and Muslim rivals. It has built a mighty military machine that can parry all regional threats, and the IDF remains the most capable military in the region with the motivation, equipment, and training to overmatch the conventional capabilities of any regional challenger. Israel has managed to contain terrorist activities and has built an effective shield against missiles. Only a nuclear Iran would be a game changer in the strategic equation, and Jerusalem is serious about preventing this scenario. Moreover, in the near future, discontinuities in the political, social, and economic trends reviewed are unlikely. This means that time is on Israel's side. The Zeitgeist of this epoch that stresses democracy and free market values also favors Israel rather than its Muslim opponents, who continue to be in great socioeconomic and political crisis. At age sixty-five, Israel is a great success story, and if it can continue to inculcate the Zionist ethos into new generations, its future looks bright. While peace is desirable, it is not a necessary condition for survival. Efraim Inbar is professor of political studies at Bar-Ilan University, the director of the Begin-Sadat Center for Strategic Studies and a fellow at the Middle East Forum. The author thanks Hillel Frisch, Nissim Leon, Shmuel Sandler, Max Singer, Eitan Rapps, and Michael Handley. See, for example, Tony Judt, "Israel: The Alternative," The New York Review of Books, Dec. 4, 2003; Avraham Burg, The Holocaust Is Over; We Must Rise from Its Ashes (New York: Palgrave MacMillan, 2008); Ian Lustick, "With a Bang or a Whimper, Time Is Running Out," Israel Studies Forum, Summer 2008, pp. 6-11; Diana Pinto, Israel Has Moved (Cambridge: Harvard University Press, 2013); Peter Beinart, The Crisis of Zion (New York: Times Books, 2012); Emmanuel Adler, ed., Israel in the World. Legitimacy and Exceptionalism (London: Routledge, 2013), chaps. 3,5,6,7. David Vital, The Inequality of States: A Study of the Small Power in International Relations (Oxford: Clarendon Press, 1972), Introduction. Efraim Inbar, "The Arab Uprisings' Impact," Middle East Quarterly, Winter 2012, pp. 39-46. Hemda Ben-Yehuda and Shmuel Sandler, The Arab-Israeli Conflict Transformed: Fifty Years of Interstate and Ethnic Crises (New York: SUNY Press, 2002), pp. 167-79. For the state and sub-state dimensions of the conflict, see Shmuel Sandler, "The Protracted Arab-Israeli Conflict, A Temporal Spatial Analysis," The Jerusalem Journal of International Relations, Dec. 1988, pp. 54-78. Benjamin S. Lambeth, "Israel's War in Gaza: A Paradigm of Effective Military Learning and Adaptation," International Security, Fall 2012, pp. 81-118. Uzi Rubin, "Iron Dome: A Dress Rehearsal for War?" BESA Center Perspective, July 3, 2012. Arab Human Development Report 2002: Creating Opportunities for Future Generations (New York: U.N. Development Programme, 2002); see, also, "How the Arabs Compare," Middle East Quarterly, Fall 2002. Efraim Inbar, "The Need to Block a Nuclear Iran," MERIA Journal, Spring 2006. Dan Ben-David, ed., State of the Nation Report: Society, Economy and Policy in Israel, 2011-12 (Jerusalem: Taub Center for Social Policy Studies in Israel, Dec. 2012), part 1 and 2. Yoram Ettinger, "At 65 Israel Defies Global Economic Meltdown," Israel Hayom (Tel Aviv), Apr. 19, 2013. "Israel: 2012 Article IV Consultation," International Monetary Fund, Washington, D.C., Apr. 2, 2012; "IMF Published Report on Israel's Economy," Israeli Ministry of Finance, Jerusalem, Apr. 3, 2012. Globes (Rishon Le-Zion), June 14, 2011. The Wall Street Journal, Nov. 23, 2009. "Fertility Rates," World Bank, Washington, D.C., accessed June 10, 2013. See David Wurmser, "The Geopolitics of Israel's Offshore Gas Reserves," Jerusalem Center for Public Affairs, Apr. 4, 2013. The Military Balance - 2013 (London: The International Institute for Strategic Studies, 2013), p. 382. "The Peace Index," The Israel Democracy Institute, Jerusalem, accessed June 10, 2013; Yehuda Ben-Meir and Olena Bagno-Moldavsky, The Voice of the People: Israeli Public Opinion on National Security, 2012, Memorandum 126 (Tel Aviv: Institute for National Security Studies, Mar. 2013). "The Peace Index"; Ben-Meir and Bagno-Moldavsky, The Voice of the People. Bennett Zimmerman, Roberta Seid, and Michael L. Wise, "The Million Person Gap," Mideast Security and Policy Studies (Ramat Gan: Begin-Sadat Center for Strategic Studies, Feb. 2006); Yakov Faitelson, "Population Growth in the Land of Israel," Middle East Quarterly, Fall 2013, pp. 15-27. Arutz Sheva (Beit El and Petah Tikva), Nov. 25, 2012. Uri Cohen and Nissim Leon, "The New Mizrahi Middle Class: Ethnic Mobility and Class Integration in Israel," The Journal of Israeli History, Mar. 2008, pp. 51-64. Israel Hayom, Aug. 4, 2011. Stuart Cohen, "Towards a New Portrait of the (New) Israeli Soldier," Israel Affairs, Sept. 1997, pp. 77-117. Nissim Leon, "Secular Jews: From Proactive Agents to Defensive Players," Israel Studies Review, Jan. 2012, pp. 22-6. Ha'aretz (Tel Aviv), Nov. 23, 2007. Arutz Sheva, Sept. 26, 2011. "LGBT Rights in Israel and the Middle East," StandWithUs, Los Angeles, accessed June 10, 2013. Tziona Koenig-Yair, "Israel: Check against Delivery," statement before the Economic and Social Council Commission on the Status of Women, United Nations, New York, Feb. 2011. Avital Sandler-Loeff, et al., "People with Disabilities in Israel: Facts and Figures," JDC-Israel and JDC-Brookdale Institute, Jerusalem, Oct. 2003. Karen L. Berman, "Israel Must Overhaul Education System," Jewish Telegraphic Agency, Mar. 29, 2012. Ron Diller, "What happened to affordable housing in Israel?" The Jerusalem Post, May 8, 2010. "A 16.7% Jump in the Taub Index of Social Confidence," Taub Center for Social Policy Studies in Israel, Jerusalem, Jan. 30, 2011. Julie Ray, "High Wellbeing Eludes the Masses in Most Countries Worldwide," Gallup, Apr. 19, 2011; The Jerusalem Post, Aug. 2, 2011. New Wave telephone poll, Israel Hayom, Apr. 12, 2012. Avraham Burg, "Israel's Fading Democracy," The New York Times, Aug. 4, 2012; Naomi Chazan, "Israel and the World: The Democracy Factor," in Adler, Israel in the World. Legitimacy and Exceptionalism, pp. 73-96. Shmuel Sandler and Efraim Inbar, "The Fading Left and Israel's Flourishing Democracy," The Jerusalem Post, Aug. 22, 2012. Efraim Karsh, "Israel's Arabs: Deprived or Radicalized?" Israel Affairs, Jan. 2013, pp. 1-19. Stuart A. Cohen, "Changing Civil-Military Relations in Israel: Towards an Over-Subordinate IDF," in Efraim Inbar, ed., Israel's Strategic Agenda (New York: Routledge, 2007), pp. 156-66. Efraim Inbar, "Jerusalem's Decreasing Isolation," Middle East Quarterly, Spring 2013, pp. 27-38. Adam Shay, "Successes and Failures of the BDS Campaign," Jerusalem Issue Briefs, May 12, 2013. Zaki Shalom, "Israel and NATO: Opportunities and Risks," Jaffe Center for Strategic Studies, Tel Aviv University, Mar. 2005. Efraim Inbar and Alvite Singh Ningthoujam, "Indo-Israeli Defense Cooperation in the Twenty-First Century," MERIA Journal, Dec. 2011; P.R. Kumaraswamy, "The Maturation of Indo-Israeli Ties," Middle East Quarterly, Spring 2013, pp. 39-48. Ynet News (Tel Aviv), July 19, 2013. Robert J. Lieber, Power and Willpower in the American Future: Why the United States Is Not Destined to Decline (Cambridge: Cambridge University Press, 2012), pp. 147-72. "Americans Continue to Tilt Pro-Israel," Gallup, Washington, D.C., Mar. 2, 2012. Walter Russell Mead, "America, Israel, Gaza, the World," The American Interest, Nov. 18, 2012. Related Topics: Israel & Zionism | Efraim Inbar | Fall 2013 MEQ receive the latest by email: subscribe to the free mef mailing list This text may be reposted or forwarded so long as it is presented as an integral whole with complete and accurate information provided about its author, date, place of publication, and original URL.